This post was supposed to be up a couple of days ago. But I was so crazily excited that I WAS TYPING LIKE THIS AND USING LOT OF EXCLAMATIONS MARKSSSSSSSSSSSSSSSSSSSSSS!! AND LOT OF SSSSSSSSSSSSSSSSS!!! I spotted Moroccan Oil here, voila! 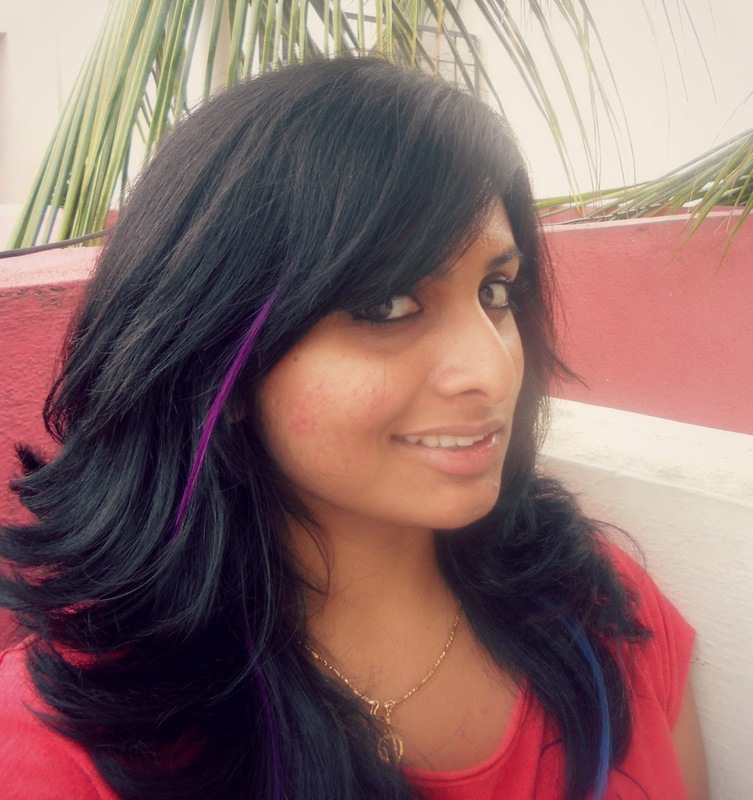 The extensions - blue, red and purple! 1. Are hair extensions safe? Yes, they are. They won't harm your hair like coloring does. 2. How long will they stay? Approximately for 3-4 months, and no. They won't fall off. You have to be a little careful while combing though, you don't want to hurt yourself. 3. Will the color fade? 4. Will I have to blow dry every time to set them? Nope. I myself don't like using heat on my hair. 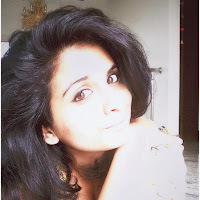 After getting the extensions, I have washed my hair twice and let them air dry. These extensions are still the same - aligned and blended with my natural hair texture. 5. Can I oil my hair? Get the hair spas done? 6. Can I continue using my regular hair products? Yes. There is no need for any extra care. 7. Can I remove these on my own? Yes, you can. They are clipped to the hair and can easily be unclipped. It's a simple twist mechanism so you can remove and wear them at your convenience. My nail art was done by Ms.Mary. 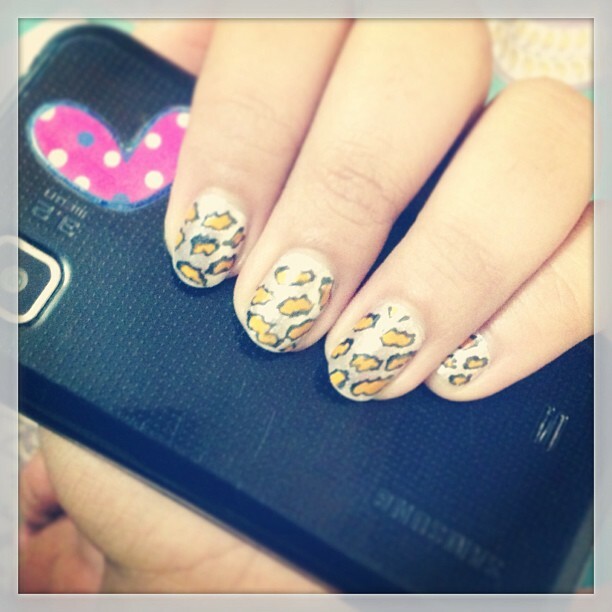 My nails were in such a sorry state - all possible lengths and widths for the ten fingers :D She was sweet enough giving them a good manicure followed by a very pretty leopard print nail art. They have a fab collection of nail paints, nail art pens, stick ons and other nail art materials. The staff is courteous and friendly. By the time I left, I was at so much ease :D Here is a pretty collage *read self obsessed one* I clicked ;) the wind in my hair made my go crazy with the camera. I had a lovely day at the salon you guys! 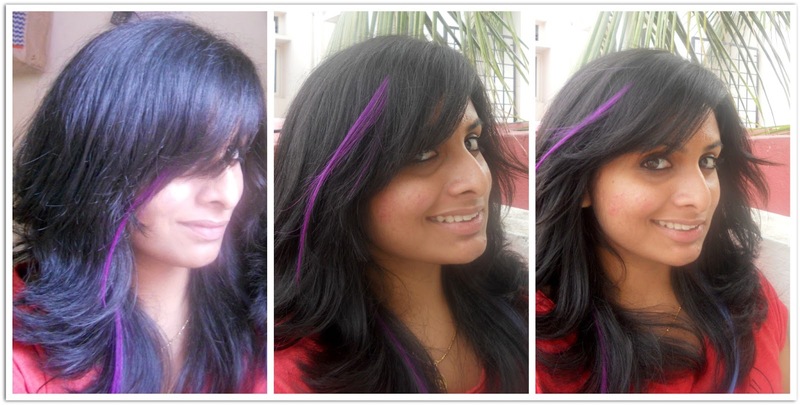 Definitely give a try and add some colors to the fabulous monsoons! You can find more info here. PS: The service was provided by the brand. I too need hair extensions...!